On April 20, 2018 Trona High School sponsored its first career day in 4 years. Career Day was organized by Ruth Soto, the guidance counselor for Trona High. Over 20 presenters volunteered to come out and talk about their varying careers from being a speech therapist to being an instrumentation journeyman. Even our own superintendent, Dr. Keith Tomes, volunteered to share his experiences in school administration with THS students. Weeks before the event took place all students were given the opportunity to choose three sessions to attend. Each session consisted of two different career presentations. Career Day started at 9:20 am and went until 12:20 pm. 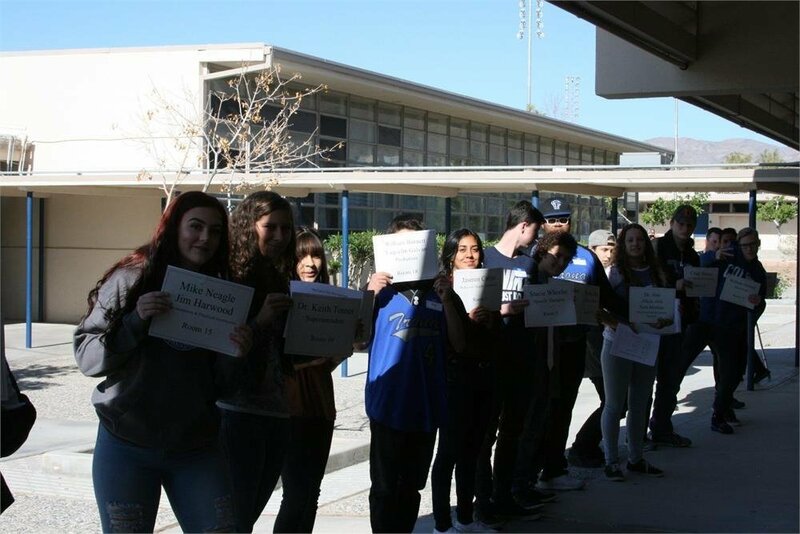 Select students were tasked to welcome the presenters and show them Trona High’s newly renovated gym, library and classrooms before escorting them to their assigned room. Overall the event was a success and gave new insight to students interested in these careers.